I had picked up a Baytech MP power strip recently, and wanted to monitor it with MRTG. For $1, I got a Cisco DE9-RJ45 cable (blue). Because I’m lazy, I just cut it halfway and connected the relevant wires. This entry was posted in hacking, network, uart on February 9, 2015 by Ben. 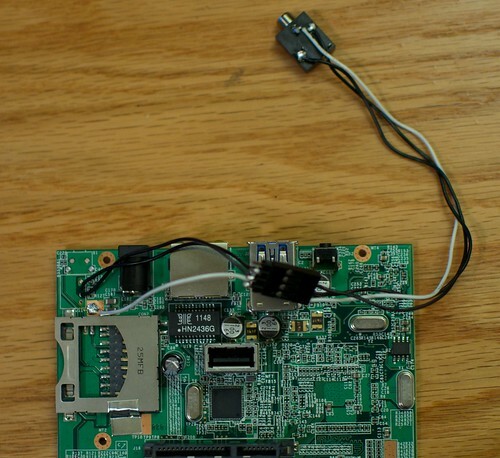 This entry was posted in hacking, hardware, network, uart and tagged mod, pogoplug, uart on April 4, 2014 by Ben. I recently acquired an Alinco DR-135 radio with an integrated EJ-41U TNC unit. 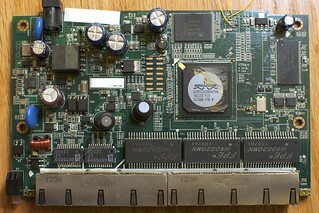 I decided to replace the TNC with an Argent Data Tracker3 T3-135 module. 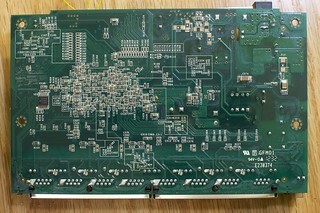 After installing the module, however, the TNC board would not power up. I measured the 5V line feeding the TNC module at around 3.5V. When I replaced the module with the original EJ-41U, I measured around 3.8V (although that unit seemed to work OK, even on such a low voltage). Update: If anyone is doing this mod, don’t pull power from the 7808 like I did. See below.. This entry was posted in hacking, ham radio, hardware and tagged alinco, dr-135, mod, power, t3-135, tracker3 on August 2, 2013 by Ben.